Atlantic blue marlin are big badass fish that take some planning ahead to catch. With the proper boat, gear, techniques and teammates it is possible to achieve top results. Being migratory in nature, blue marlins travel long distances in the ocean, following warm water currents through the Pacific, Indian and Atlantic Oceans. They`re found in the upper zone where their food thrives. Working together, these fish will surround smaller fish schools into bait balls and stun them with their powerful bill before eating them. The Gear: Needless to say, the gear must be heavy duty: first class rod, reel, and line. 100-pound test monofilament is the preferred choice, despite many other alternatives in use these days. Tuna sticks and 80-class lever drags reels to match. Ball bearing swivel, 400-pound leader and circle hook from 12 to 22 depending on the size of the bait. 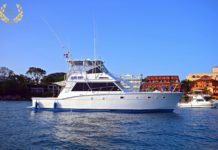 Bait and Lure: Your spread should have enough lures and bait when trolling, always using the outriggers to your advantage. Best arrangement will have teasers, artificial lures and live bait. 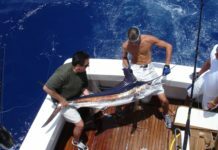 Top live bait for marlin are small pelagic fish such as school dolphin, bonito, flying fish, mackerel, small barracuda or extra large ballyhoo. 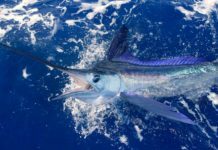 Lures can be rigged with dead bait, something often used by Dominican fishermen that combine a lure with a dead ballyhoo. Outriggers are the pro choice for spreads, and outriggers made of carbon fiber, like Gemlux’s new 22- and 27-foot Deluxe Outriggers, are the real deal for pulling heavy loads like dredges or multiple teasers. 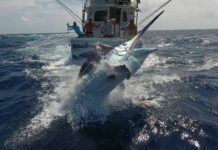 Trolling Speed: Trolling speed for marlin is best kept at 8.5-9.5 knots, since that speed should cover enough water and distance. 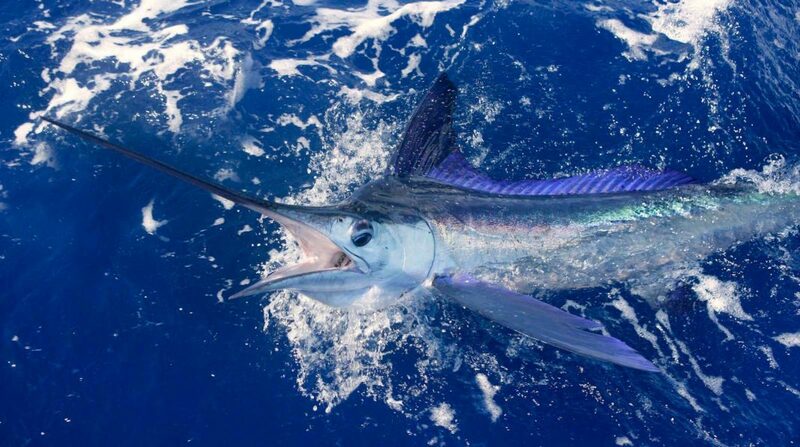 Adjust the speed based on the lures used and the water conditions. Reeling in the big one: the angler must keep the line under pressure, to avoid the fish from shaking the head and loosening the hook grab. 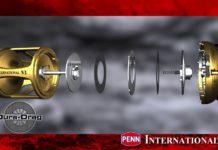 Angler should raise the rod 15 degrees, always applying pressure; then the reel is cranked a full rotation as the rod is lowered back down 15 degrees. Repeating this while keeping the line tight. Captain will put the boat in reverse to allow the angler to recover the line, then the wireman will gaffe the fish into the boat or release him.